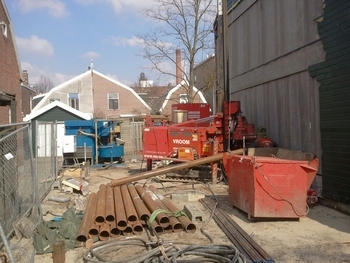 Initially, all segment piles would be driven in de tube in Koog aan de Zaan. 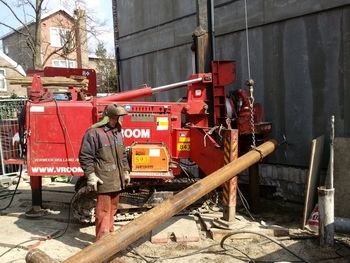 As too much vibration was caused during the execution of the project, the remaining piles were inserted using a low-vibration technique in drilled segment piles with grout injection. 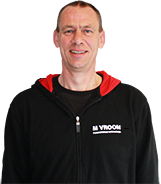 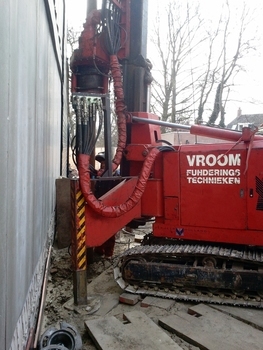 The work was done for Vroom’s associate company P. van ‘t Wout Funderingstechnieken. 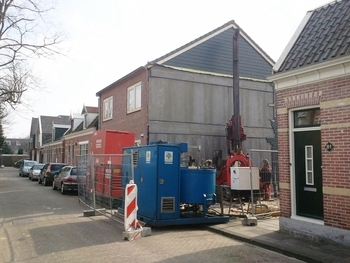 "We make the great work with small machines"